Once you’ve created your buyer persona interviews, completed your interviews and put together your findings, you’ve made a huge step toward effectively targeting your ideal customers. But you’re not done yet. The next phase is to use the information throughout your inbound marketing plan and strategy. Start with three to five of the personas you want to target first, keeping in mind that each may interact with your website, products and services a bit differently. When updating or creating pages for specific personas, pay particular attention to the language they use as well as the graphic style and imagery that would best grab their attention. Both page copy and graphics should be aligned with personas likely to land there. Top it off with simple labels for easy-to-follow navigation that leads them in the direction where they need to go. When creating new content as part of your content marketing strategy, make sure each piece of content is geared toward a specific buyer persona. Again, you want to answer their pain points and questions while guiding them in the direction of your solution. E-books and downloads: Each e-book, guide or other piece of downloadable content can solve a common problem or address a recurring question found with each persona. Promote each piece of content to the appropriate audience through landing pages, social media or email. Blogs: Blog posts tailored to specific personas is an ideal place to use long-tail keywords for which different personas may be searching. Some may have very specific problems or very specific solutions in mind; make sure they can find both with your posts. Applying your persona knowledge to your social media strategy involves knowing what type of content is most likely to grab the attention of a specific persona. But it also involves being aware of which social media sites the persona frequents and when that persona is most likely to be visiting those sites. Your persona interviews gave you clarity on where your personas spend their time online. Use that information to push content on the appropriate sites during peak times. Go even further by making sure you or a team member is monitoring those sites during peak persona times, networking, responding to questions and otherwise engaging with targeted audience members as needed. Just as each persona may have different social media habits, each is also likely to have different preferences for online and offline news sources, publications and other sources of information. Industry magazines and websites, specific social media sites and entertainment or lifestyle publications can be hot spots for targeted advertising. Once you’ve determined where to find your persona, create a new budget or reallocate your existing budget to put ads where your persona can find you. The most effective email strategy involves sending the right content at the right time to the right persona. Your targeted lists give a great head start in fulfilling all three. Conferences and tradeshows can be a bonanza for face-to-face opportunities with your personas, not only for presenting solutions but also for learning even more about them. Plan on attending conferences and tradeshows your personas frequent, armed with information, presentations and solutions tailored to their specific pain points. 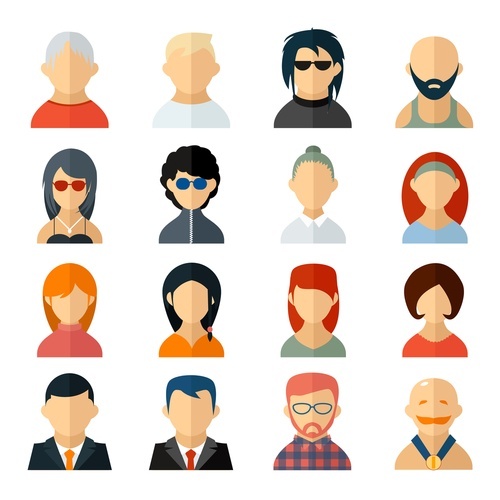 Having a good grasp of your different buyer personas can not only make your content marketing more effective, but it can become much easier to create. You already have fundamental knowledge of the persona’s background, job, habits, likes and dislikes. Now all you need to do is address their pain points and offer a solution in a way that best aligns with who they are and what they need.